Home » CO-OP Monthly: Trends. Insights. Action. » Will You Be Our Accountability Partner? To achieve transformation of any kind, there has to be accountability. Whether you want to get fit, launch a new career or save more money, your chances of success are much greater if you have a buddy checking in on your progress. The buddy system also works in business. Organizations that have committed to evolving their products, services, operations and technologies are most successful when the firm’s stakeholders cheer them on as they hit meaningful check-points. Many of the credit unions in the CO-OP ecosystem are on a digital transformation journey. CO-OP is on that same journey. In 2017, we asked these credit unions, our valued clients, to become our accountability partners as we collectively race toward digital transformation. We know digital transformation is not an easy undertaking; we also believe it to be worth the effort. For credit unions, digital transformation means revenue, engagement and growth. As we continue on our journey together in 2018, we have outlined seven specific digital transformation strategies that credit unions can and should pursue. Just as we are recommending them to you, we will be executing on each within our own business. It’s my hope that you will keep us accountable to these priorities by asking questions, sharing ideas and providing consistent and passionate feedback all year long. Digital transformation is the credit union movement’s opportunity to live its mission in the digital age. We believe credit unions can dominate personal financial services. The “people helping people” way of doing business, by digitally-proficient institutions, is exactly what today’s consumers are looking for. We commit to becoming 100-percent clear on what members need and reimagining how we can make financial jobs easier. Being member-first means discovering the new ways “people helping people” works in the digital age. For financial services, those new ways must be seamless and secure. Smartly leveraging data and the insights we can derive from it will help us get there. To create exceptional experiences, we have to get out ahead of the member. That is where data and analytics will help. In fact, the real magic of data analytics is the ability to predict the future. The fact is, members expect it. They want their credit unions to bring them personalized, predictive and actionable insights in real-time. It’s how they are being served by many others. 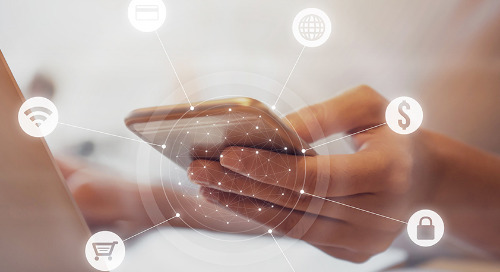 Mobile payment innovators, like PayPal and Square, have made banking customers aware of real-time financial transactions and value-added services. At the same time, Google, Amazon, Facebook and Apple (GAFA) have raised the experience bar even further, showing that consumer needs can not only be met, but anticipated. Credit unions and the partners that support them must become experts at engaging with members through digital channels. Open API strategies are how many – if not all – digitally transformed companies are meeting the needs of modern, empowered consumers. As credit union members increasingly pursue self-service and multichannel options, CO-OP is designing an ecosystem that caters directly to those preferences. More than 40 million U.S. internet users are expected to go online exclusively via mobile devices this year. That number will reach 52 million by 2021. Yet, we know that servicing credit union members specifically requires a strong “click and mortar” mix. Therefore, we commit to helping more credit unions become experts at engagement through apps, branches, desktop web, mobile web, call centers, chatbots and more, all integrated and working seamlessly together. The relationship between humans and machines is changing, and brands are beginning to make artificial intelligence (AI) an everyday element of their customer offerings. When a credit union integrates AI into the fabric of its core data, the information it can access is much richer. Outcomes include speed and accuracy, two qualities critically important to the member self-service experience. Machine learning platforms can deliver the kind of real-time personalization that may not be possible even in human-to-human engagements. CO-OP is actively working to make AI attainable to credit unions. We expect our innovative machine learning and AI tools to become available later this year. It’s not unusual for security, risk and privacy teams to encounter pushback from their colleagues. Much of this is due to the belief a particular protection mechanism will negatively affect the member experience. But what if security investments could directly enhance those experiences, ultimately driving the growth of more credit unions? It’s possible with unsiloed co-creation. Digitally transformed organizations are flat, and teams work cross-functionally to achieve mutually desirable outcomes – all with the end-user in mind. On behalf of credit unions, CO-OP is implementing machine learning to enforce fraud mitigation and cybersecurity in a way that priorities the member experience. Adopting these best-in-class solutions will allow the credit unions in the CO-OP ecosystem to use security innovations not only as a way to protect their cooperatives, but also as a member service strategy. Digital customer experience (CX) is a crucial retention tool, and ranks as a top reason people stay with their financial institution. Increasingly, the quality of an experience is judged by how easily a customer is able to chart his or her own journey. We know financial consumer journeys are complex. They almost always involve multiple touchpoints. Members that start their journey digitally don’t necessarily complete their transaction digitally. We aim to seamlessly, securely integrate more of these channels to make day-to-day financial tasks not only easier, but more enjoyable. Ecosystems reflect a fundamental premise – the power of the network grows exponentially with the number of participants. Because tapping into a network allows its participants to multiply capabilities and reach, they evolve without having to build or invest “from scratch.” This is how we want credit unions to see CO-OP. We have already begun to think at the platform level, and we hope you have seen the results of this change in mindset. Busting apart old silos, CO-OP teams are embracing partnerships, co-creating products and process alongside our credit union and business partners, and uncovering exciting new ways to serve credit union members along the way. We look forward to talking through each of these priorities in greater depth at THINK 18 in Chandler, Arizona, May 7-10. Please join us there so we, too, can learn more about your priorities. As your accountability partner, and your co-traveler on this digital transformation journey, it will be our honor to cheer you on as you hit your milestones in 2018.